Drawing character tutorial Daenerys in Disney style. 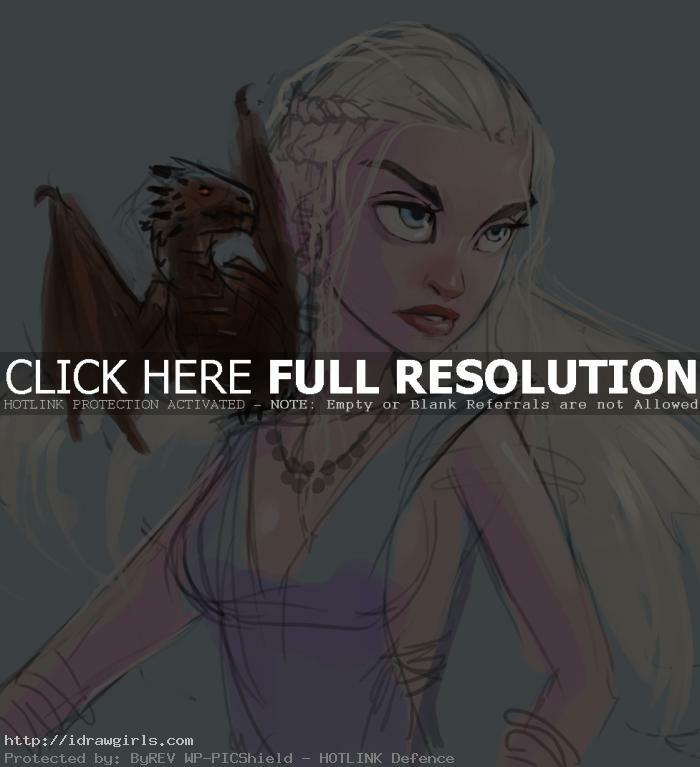 This tutorial shows you how to draw Daenerys Targaryen from the Games of Throne. You will learn how to draw face and paint stylized facial structure similar to Pixar, Disney and Cartoon style. 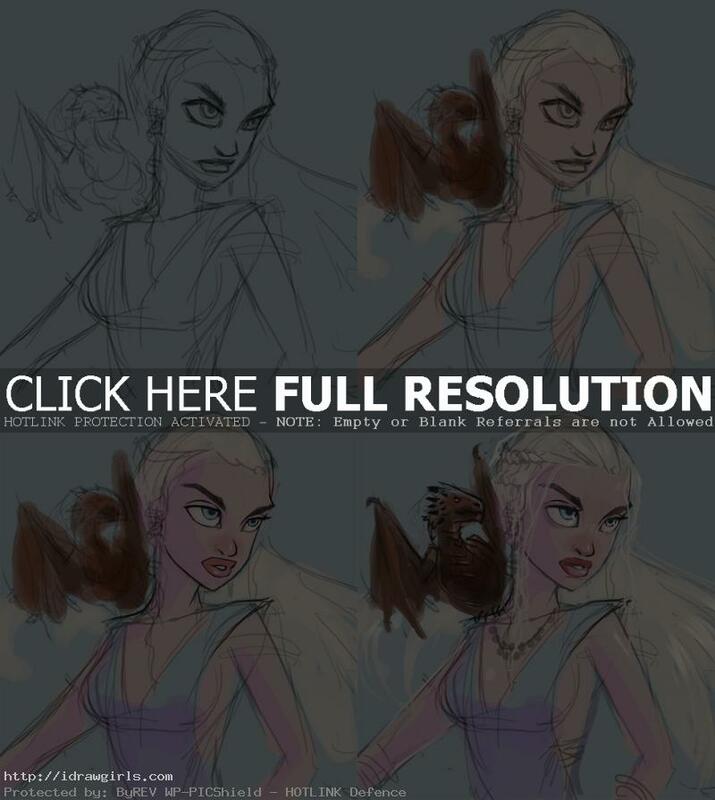 Drawing character tutorial Daenerys Targaryen. In this tutorial, you will learn how to draw a girl face in Anime Style. This should be easy for every artist to follow. If it is a bit too fast for you, press pause. Then you can keep drawing along. You will find video tutorial on the top. You can scroll down further to see step by step images with instruction. You will also learn basic character design principles. It is part of my character design video series. Daenery Targaryen is a fictional character from Games of Throne. Daenerys is a young woman in her early teens. She is short of stature and very beautiful, with the silver-blonde hair and purple eyes for which House Targaryen has always been known. While Daenerys and her brother stay at the mansion of Illyrio Mopatis in Pentos, Illyrio arranges a marriage between Dany and the powerful Dothraki warlord Khal Drogo. In return, Drogo is to provide Viserys with ten thousand warriors for his campaign to retake the Iron Throne. Tips on drawing Disney style (Cartoon). -Big round eyes, like really big.